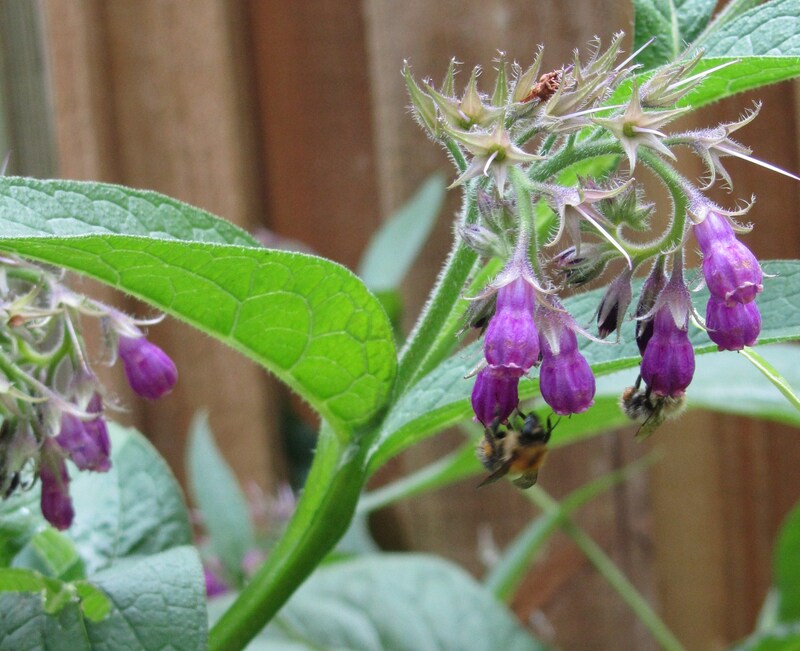 Comfrey is also known as ‘knitbone’ which gives you a clue as to what it is used for – broken bones, wounds and ulcers both internal and external. The bees love its flowers and its leaves are a great fertiliser for the garden. Not for long-term use or if there are liver problems.